Courtesy photos Stella Butcher, 9, pulled in this 211/2-inch bass with some help from her great-grandfather Bill Ringger, who had to step in at the end because she didn't want to touch it. 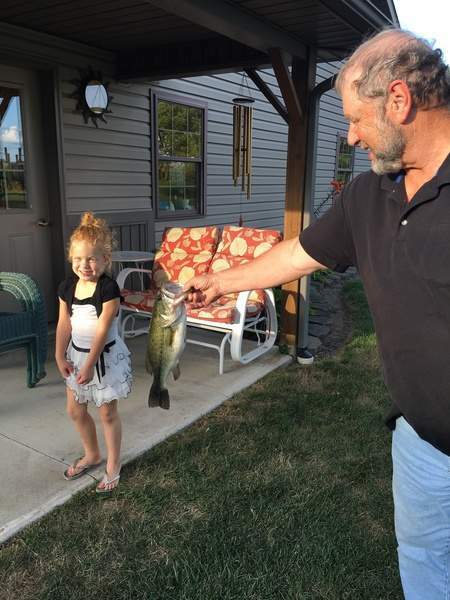 Violet Butcher, 7, pulled in a bass with the help of her grandfather Ked Ringger. All fish were caught at the family pond in Decatur. 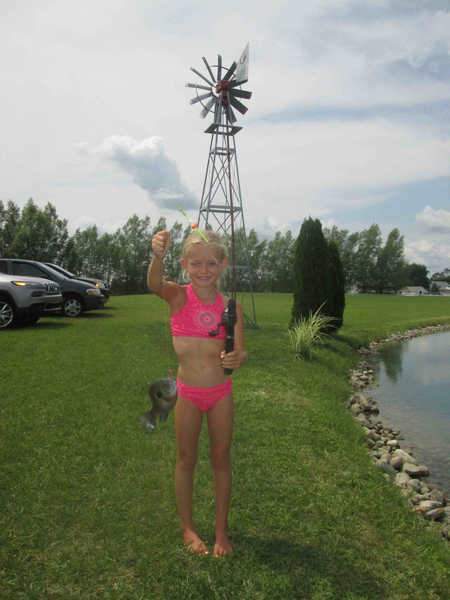 Charlotte Butcher, 5, loves to fish but hates to get close to them once she has pulled them in. Her grandfather Ked Ringger got as close as she would allow for the picture. 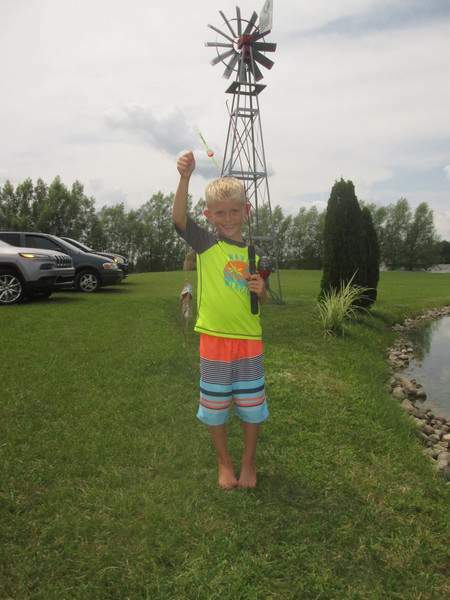 Bryson Maher of Huntington caught several bluegill and a decent-sized large- mouth bass. Macie Maher, 9, of Huntington holds one of several bluegill she caught at her grandfather’s pond just outside Huntington. Fishing and hunting are enjoyed by young and old. As proof, readers of The Journal Gazette have been showing off their catches on the weekly Recreation page. The Journal Gazette publishes an Outdoors Experience page weekly, lending a forum for readers to share their love of the outdoors with their neighbors. If you have an outdoor experience you'd like to share, email your stories and photos to The Journal Gazette at jgsports@jg.net. Please provide full names, ages, hometowns, type of animal and when and where caught.